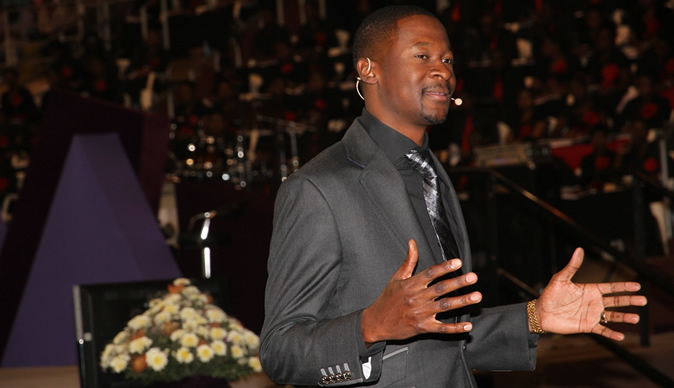 UNITED Family International Church founder Prophet Emmanuel Makandiwa has hit back at business couple Mr Upenyu Mashangwa and his wife, Blessing, saying the claim that they paid US$1,1 million in tithes and offerings is a "blue lie". In an application filed last week at the High Court for dismissal of the Mashangwa couple's US$6,5 million lawsuit, Prophet Makandiwa and his wife, Ruth, said the case lacks merit. The UFIC leader's lawyer, Advocate Lewis Uriri urged the court to protect itself from abuse at the hands of the litigants (Mashangwa couple) who "brought the suit without serious intention to obtain relief". "Equally groundless and inconsistent with common sense is the respondents' allegation that they made contributions to the tune of US$1,1 million into the third applicant (UFIC) as led by the first and second applicants (the Makandiwas). "It is submitted and therefore trite to note that tithes and offerings constitute 10 percent of the giver's income. In the instant, if the allegation by the respondents is true that they gave US$1,1 million as offerings, it automatically turns out that their net worth was above US$11 million as at the time they disassociated from the third applicant. It is contended that it is impossible that the respondents could be having that net worth. "In the circumstances, it cannot be gainsaid that the allegation by the respondents to the effect that they paid US$1,1 million is a blue lie. The foregoing facts evince that the respondents and their company were afflicted with penury during the time they allege to have contributed or gave as tithes and offerings to the sum of US$1,1 million." Prophet Makandiwa said the lawsuit to recover the tithes lacks seriousness and is meant to harass and annoy him. Said the UFIC leader: "The case is an annoyance and abuse of the court. The allegation made therein falls outside the region of probability and therefore ought to be dismissed." The preacher argued that tithes and offerings are biblical concepts and an act of worship that edifies the relationship between a believer and God. Prophet Makandiwa stated that tithes and offerings are an act of faith given voluntarily. "…those were free will offerings not recoverable from anyone unless if the respondents (Mashangwas) wish to try the impossible and get that from God, the receiver of the offerings," he said. On the claim that the UFIC leader pay Mr Mashangwa US$700 000 for damages over a debt cancellation prophecy involving a house in Marlborough, Prophet Makandiwa said the house was never sold by a local bank as alleged. In his court application for dismissal, Prophet Makandiwa said the Marlborough house was sold to Nemaji Family Trust for US$800 000 on February 29, 2012, before it was sold to Prophet Walter Magaya and his wife, Tendai, who then obtained bank loans using the house as security. "The principal case is so manifestly groundless that it suffers from predictable failure. It does not accord with common sense and is unworthy of serious consideration. The case deserves to be summarily dismissed in terms of Order 11 Rule 75 (1) of the High Court Rules 1971." Prophet Makandiwa denied that he recommended Mr Tichawona Mawere as a great lawyer to the Mashangwa couple. "It is denied that the applicants (Makandiwas) ever made representations to the respondents (Mashangwas) to the effect that Mawere was a great lawyer who could never lose a case. The truth of the matter is that the prophecy given by the applicants concerning Mawere related exclusively to their family problems. It related to Mawere's use of their legal skills at home, particularly that they used their legal skills in resolving their family disputes," he said. "The couple lies that their business closed down due to defamatory statements (by Prophet Makandiwa). Evidence on the company's Facebook account suggests otherwise and affidavits by Takawira Nzombe and Mrs Winnet Nyakabawo who purchased products from the said business show that no such closure took place. "(Prophet) Makandiwa seeks the dismissal of the lawsuit on the basis of the claims' falsehoods and the frivolous and vexatious nature of the entire lawsuits."